U.S. Sen. Richard Blumenthal tells municipal leaders Tuesday he wants to “drive a stake through” the so-called Fairfield County bypass. Stamford — Fresh off a recent victory in southeastern Connecticut, activists and U.S. Sen. Richard Blumenthal have begun organizing opposition to a second federally proposed rail segment. This time, the fight is in lower Fairfield County. 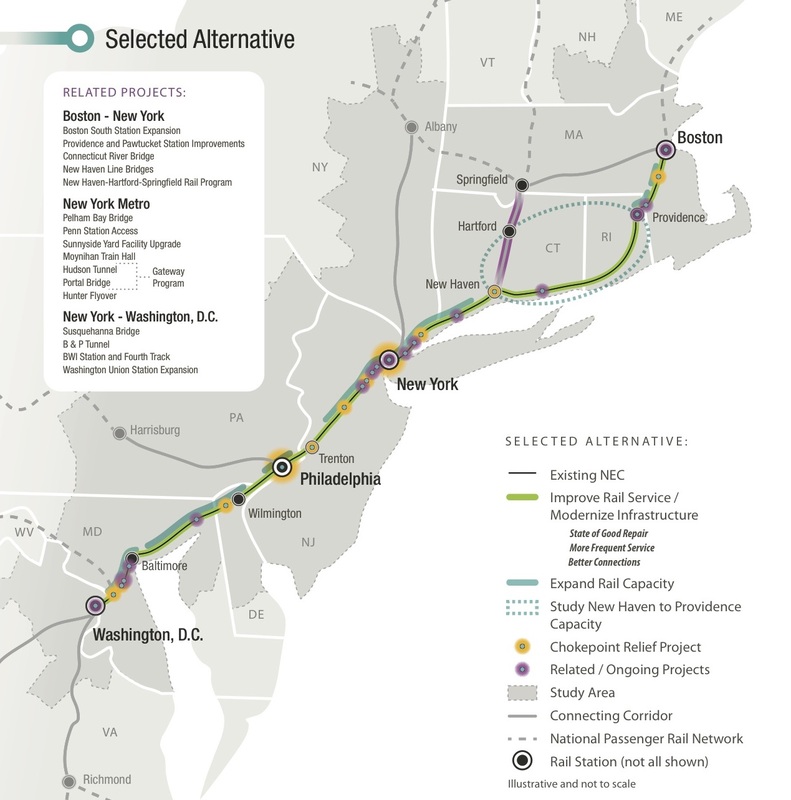 Federal officials pitched the idea as part of their final plan for NEC Future, a sweeping vision for reshaping rail service from Boston to Washington, D.C. – the Northeast Corridor – as it braces for an increase ridership expected in the coming decades. The plan is meant to guide state and federal investments in the years to come. The state has the final say on any new route. Funding would be split between the federal government, which would pick up most of the cost, and the state. The Fairfield County route had received little attention from public officials and activists until recently, as much of the effort in the past year focused on defeating a proposed bypass from Old Saybrook to Kenyon, R.I. Opponents of the Kenyon bypass said it would run through historic and cultural sites in southeastern Connecticut – with Old Lyme’s historic district being the hardest hit – and cause environmental damage. It prompted numerous public hearings attended by hundreds of concerned residents. The FRA opted last month not to include the Kenyon bypass in NEC Future’s Record of Decision — the agency’s final word on the project — but kept the Fairfield County changes in the plan. The exact path of the new segment and how much it deviates from the present route remain unclear. While high-quality maps of the Kenyon bypass proposal became available through Freedom of Information requests last year, federal officials have yet to respond to FOI requests that activists made in April 2016 for high-quality maps of the Fairfield County segment. 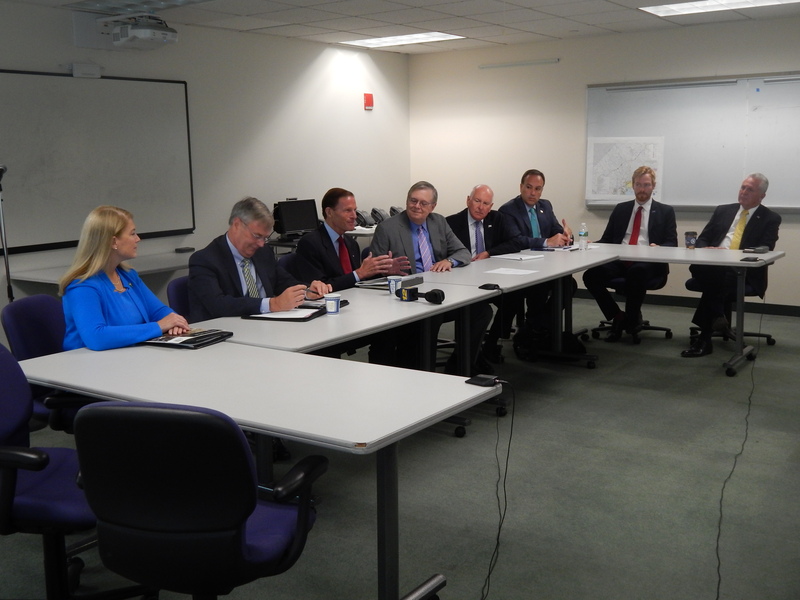 Blumenthal organized the roundtable in Stamford Tuesday to give local leaders a chance to ask questions and voice concerns about the bypass. Top municipal leaders from every Connecticut town along the corridor – Greenwich, Stamford, Darien, Norwalk and Westport – joined Blumenthal to voice their concerns about the proposal. The leaders, who oversee some of Connecticut’s wealthiest cities and towns, said they fear the federal government is giving little-to-no regard to residential and commercial districts when drawing its routes for high-speed trains. They worry that the mere existence of a new line on a map – even if it has no realistic chance of implementation – could have an impact on their ability to attract businesses and homeowners. “We have some comfort that these are all theoretical, but people looking to make investments here have a different viewpoint,” she added. To the municipal leaders, the concerns seemed obvious. Still, Blumenthal told them what may seem obvious here may not be as obvious in Washington, D.C.
“Never underestimate the stupidity of the federal government,” Blumenthal said. And for all intents and purposes, that is what the state intends to do at this time. 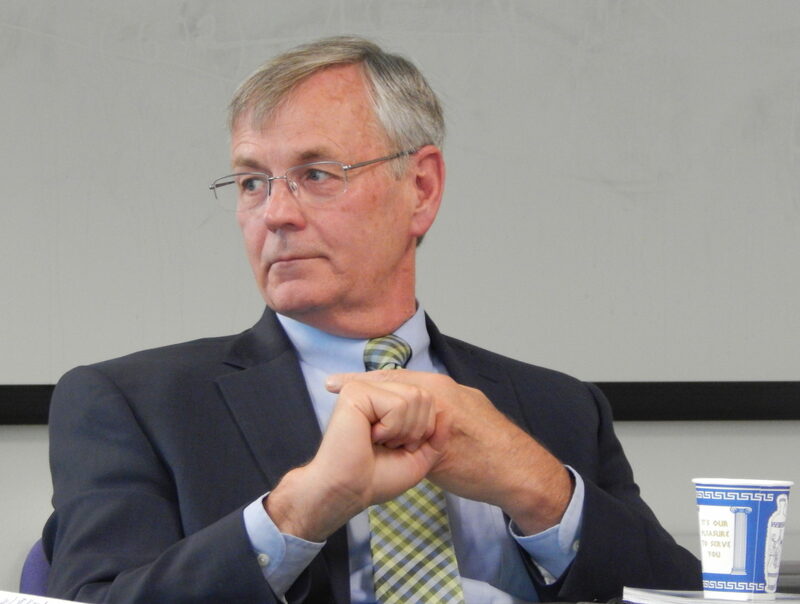 Redeker stressed that any bypass must be vetted, approved and funded by the state. As long as he is commissioner, he said, that’s not happening. Redeker said the state instead will continue to follow Gov. Dannel P. Malloy’s $100-billion transportation plan, which calls for billions of dollars in rail investment. It does not include any bypasses, and state officials are not obligated to follow the FRA’s plan. But when Connecticut’s next governor takes office in January 2019, Redeker conceded that priorities could shift. James P. Redeker, commissioner of the state Department of Transportation. 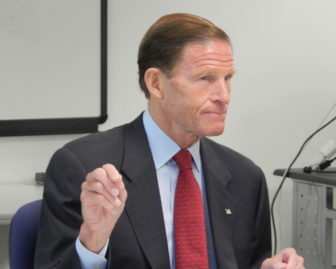 Even if Connecticut does not give the segment a green light, Blumenthal said its existence in a major federal plan could pose problems when trying to secure federal funding for the existing rail lines. Blumenthal said it is unlikely the Record of Decision could be amended to remove the segment or incorporate additional alternatives. Activists say they still plan to push for new options anyway. Greg Stroud, director of special projects for the Connecticut Trust for Historic Preservation, was one of the earliest organizers of the opposition in southeastern Connecticut, where the primary focus was on eliminating the bypass altogether and maintaining the existing route – not presenting alternatives. This time is different, he said. Southwestern Connecticut is “stuck between a rock and a hard place,” he said, with cities and towns developed tightly around the existing rail lines, limiting the extent to which changes can be made without exacting a toll on a local economy, the environment or historic preservation. Yet, the existing infrastructure is incapable of accommodating the influx in ridership expected to overwhelm the system by 2030. That might necessitate greater action than mere repairs in the coming decades, he said. Still, the segment should remain off the table, he said, especially if it is “vastly different” from the current route, as he believes it would be.